Golden Eggs (film) Donald Duck cartoon; released on March 7, 1941. Directed by Wilfred Jackson. 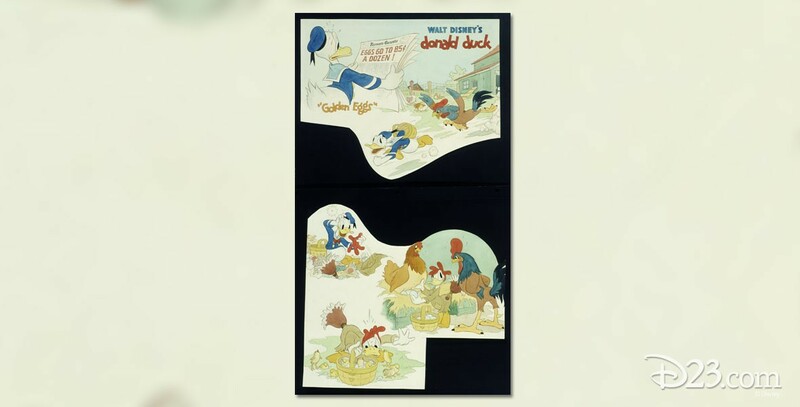 Donald Duck unsuccessfully disguises himself as a chicken to recover a basket of eggs protected by a rooster.